The 6J Moore Ranch property is an exquisitely unique offering. 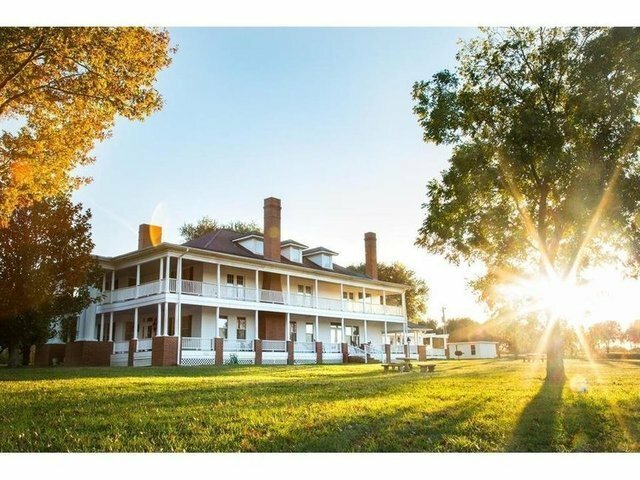 From 263 acres of rolling pastureland and scattered trees/wooded areas, to the picturesque main lake, to a showcase livestock barn, to the majestic antebellum historic home, and more.Located SW and near Huntsville, TX off the main roads fronting a quiet, less traveled, paved county road with pipe/gate entrances and meandering driveway. The centerpiece home re-purposed in 1984 from its original 1913 site is a breathtaking plantation (Colonial Revival) style with 3 stories, 5 bedrooms and 5 Ã‚Â½ baths. (~ 7,000 SF heated/cooled), wrap around porches (3,000+SF), 3 car garage...6J Moore Ranch has been historically utilized as a widely acclaimed paint horse operation/ranch and is suitable for the same or other livestock related interests. 2 barns total over 35,000 SF. Fenced and cross-fenced. Native and improved grasses. 3 lakes/ponds (up to 10 acres).